Margaux Matz Pisula maintains a rewarding musical career as a violist, violinist, and Suzuki teacher within the Pittsburgh area, as well as Ohio and West Virginia. She is a member in the viola sections of the Youngstown and Huntington Symphonies and has performed as a substitute violist with the Westmoreland, Johnstown, Wheeling, Altoona, and South Florida Symphonies; the Erie Philharmonic; the Pittsburgh Ballet Theatre Orchestra; Pittsburgh’s Music on the Edge; the Allegheny City Ragtime Orchestra; and the Youngstown Scoring Stage. During her time as a music student at Duquesne University, she had the privilege of working under conductors Jeffrey Turner and the late Sidney Harth. Margaux has also performed in the Brevard Music Festival, the Meadowmount School of Music, the Green Mountain Chamber Music Festival, and the Interharmony International Music Festival in Italy. As a dedicated teacher with ten years of experience, Margaux is truly passionate about the Suzuki Method of music education. 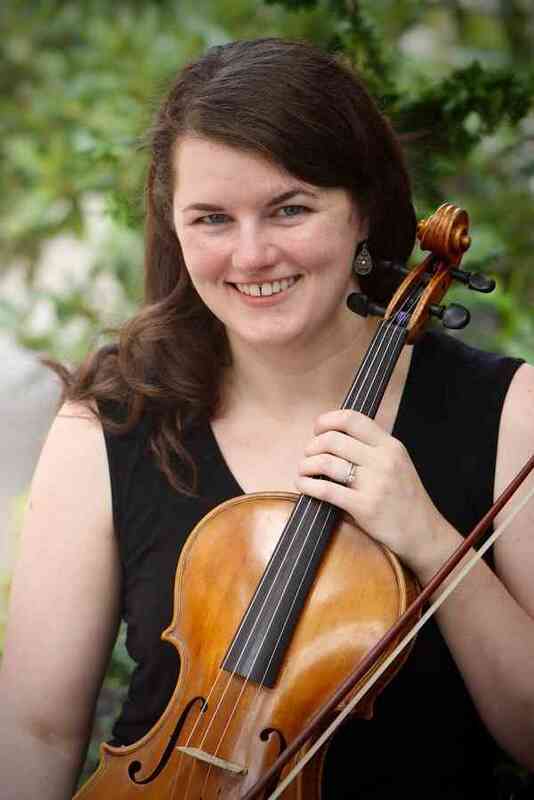 She has been a faculty member of the Pittsburgh Music Academy since 2007, teaching private lessons and group classes on both viola and violin and continuing to build and increase the school’s viola student body. Margaux has also held teaching positions through Hope Academy of Music and the Arts, Lyons Guitar & String, the Greater Pittsburgh Suzuki Institute, and most recently with the Greenville Independent School District’s Suzuki in the Schools program in Greenville, TX for the 2015-2016 school year. She also served in the capacity of Co-Director for the annual Greenville Suzuki Strings Workshop in 2016 and organized the program’s first ever Play-a-thon fundraiser. Margaux continues to bring new insight and inspiration to her teaching through teacher training and observation. She has studied with Suzuki violin pedagogues such as Sonja Zeithamel, Marilyn O’Boyle, Roger Stieg, Ronda Cole, David Strom, and Alice Joy Lewis; and Suzuki viola pedagogues William Preucil, Sr. and Dr. Julia Hardie. She holds strongly to the Suzuki Philosophy, not only in terms of nurturing and developing students through the vehicle of music, but also in shaping a better world for present and future generations. She also believes in the notion that musical performance and instruction go hand in hand, that both specialties are interdependent on each other. Mrs. Pisula began her musical profession through Suzuki violin lessons at the age of nine. She studied primarily with Suzuki violin teacher Jennifer Madge at the Pittsburgh Music Academy and later went on to earn her B.M. in Violin Performance at Duquesne University. In 2007, she started performing on the viola as a secondary instrument alongside her undergraduate violin studies. At the advice and recommendation of many, it became her principal instrument three years later, and led to earning her M.M. in Viola Performance at her alma mater, in addition to studying with Pittsburgh Symphony violist, Marylene Gingras-Roy. Margaux is happily married to her sweet husband Aaron Pisula, a paralegal and trombonist. They reside in Pittsburgh’s Mt. Washington neighborhood with their green eclectus parrot, Jasper. Apart from her musical work, Margaux loves being crafty and creative (especially in sewing, hand embroidery, and knitting) and cooking favorite comfort foods or new recipes with her husband. She also enjoys shopping, traveling, teaching new tricks to Jasper, exploring Mt. Washington’s nature trails, and, of course, spending time with family and friends.